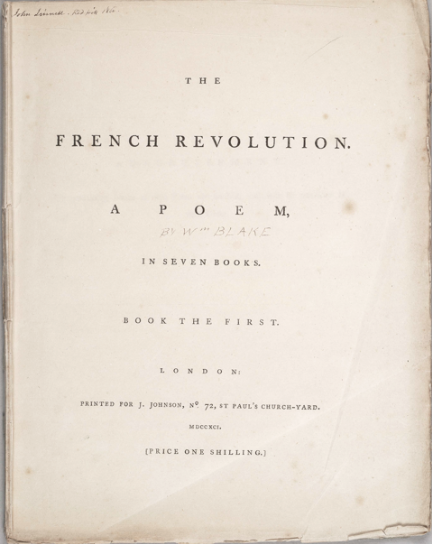 A couple of us at the Blake Archive have taken on Blake’s 1791 poem French Revolution as a new typographic project. We use many of the same principles established in early publications of typographic works. Thus, after working out some important typographic questions on the Descriptive Catalog, the French Revolution transcription appears to be fairly straightforward. What is perhaps more interesting about the poem French Revolution is the history of the work itself. In honor of the recent passing of Bastille Day (July 14th) a blog post of the publication history (or lack of publication history) of this work seemed timely. 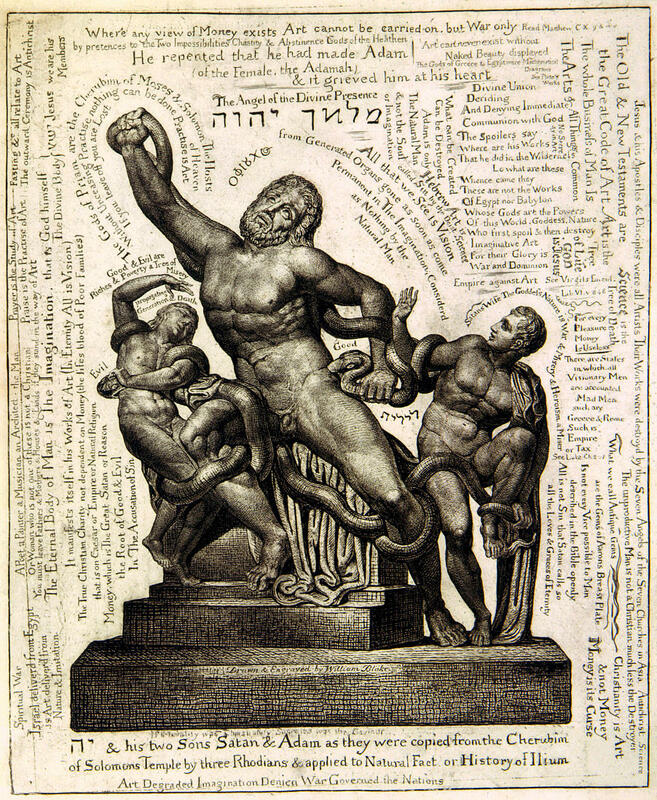 Blake originally intended for the work to be seven books, yet only the first book survives. This first book is available in proof form, as it appears it was set in type in 1791 but never actually published by its printer, Joseph Johnson. There is only one known surviving copy of the original proofs, housed in the Huntington Library, who has shared the proofs with us. There is a great deal of conjecture but little historical evidence as to why the first book was never published. Supporters of the French Revolution, like Joseph Johnson, faced increasing pressure at home, which might have stalled the printing. The rising violence of the Revolution spurred public debates in England, which also made some of its early supporters increasingly uneasy and might have influenced publication. Because of its unfinished state, Blake’s French Revolution virtually disappeared from public view/interest in the 20th century. More recently, the poem has been transcribed by both Bentley and Erdman, but our publication will be the first transcription that pairs images from the Huntington with digital transcription. 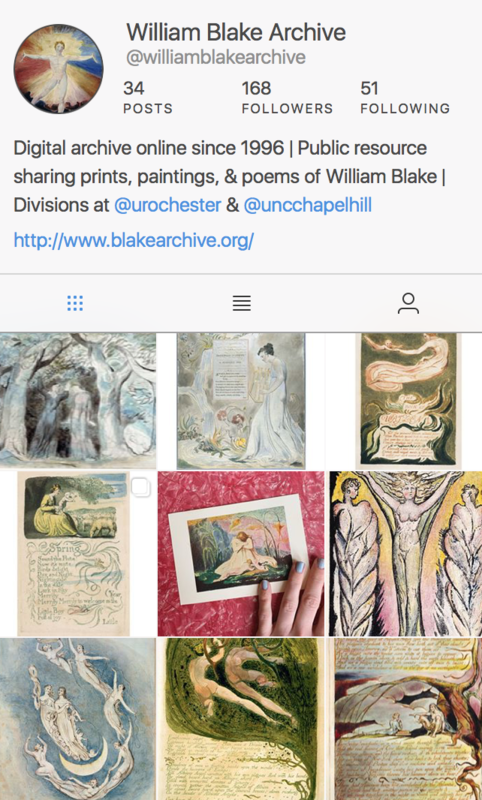 Thus, finally bringing Blake’s unpublished work to the public.